Australia appointed its first Defence Industry Minister in 2016, but opposition spokesman for defence Richard Marles has questioned the value of this position and has said Labor would take a more traditional approach to the portfolio if elected to government at the next federal election. Speaking to Defence Connect, the former minister for trade made no secret of the fact that those in government saw the appointment as a political 'fix', rather than a necessity for the defence portfolio. 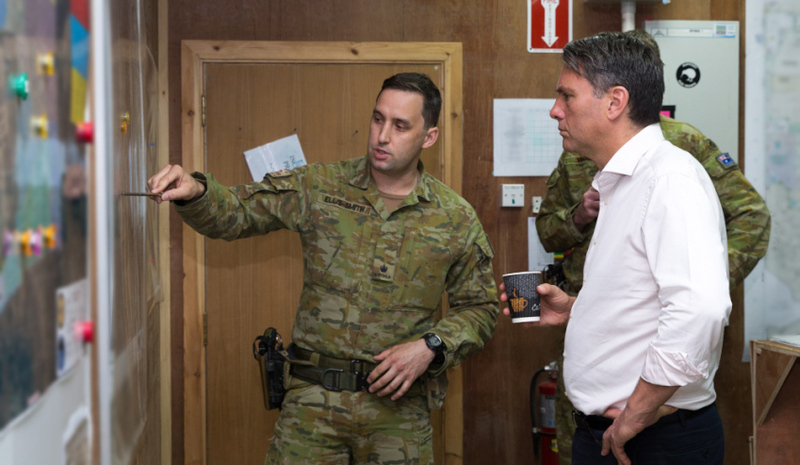 "I think everyone in the industry and the defence community knows this is a political fix to deal with personnel issues that the government has within its own ranks," Marles said. "It doesn't make sense in terms of how you structure this portfolio. We would be approaching this in a much more traditional way, having a single defence minister." The Victorian MP also spoke of some confusion created by the division of the portfolio between Minister for Defence Industry Christopher Pyne and Defence Minister Marise Payne. "I get that [confused industry members] all the time. Which is why it doesn't make sense, exactly what the division of responsibility is doesn't make sense. It took a long time to actually see that division of responsibility be spelt out in the government documentation. There's an obvious cross over. Defence industry is the other side of the coin on the fence. "Our view is there needs to be one person who has strategic oversight of that space, which is how it's been up until last year. That's what would happen if Labor is elected to government in the next election." To hear more from the Labor representative, tune in to our exclusive podcast here.